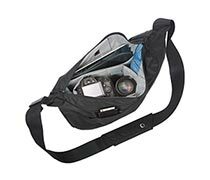 The black Passport Sling III from Lowepro holds a DSLR or a mirrorless camera, an attached lens, and an additional lens or flash inside a protective, removable camera insert within the main compartment. You can also store your tablet inside a CradleFit tablet compartment on one interior side. For holding additional photo or travel items, the Sling III features an expandable front compartment that increases the storage capacity up to thirty percent. 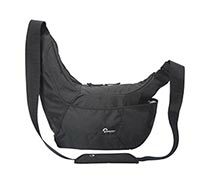 Featuring numerous places to hold small accessories, the Sling III has four exterior slip pockets, two on each side, and an interior zippered mesh pocket with a key leash. 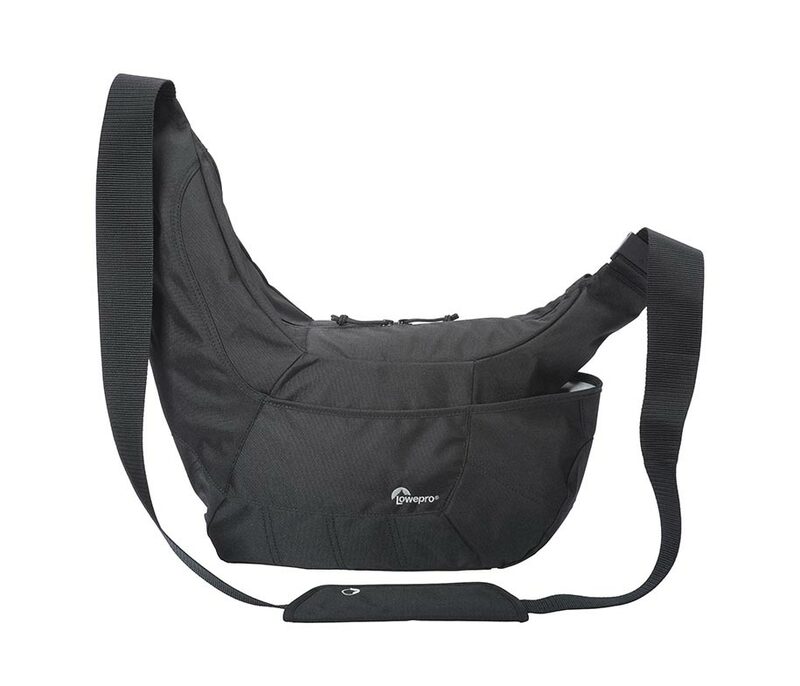 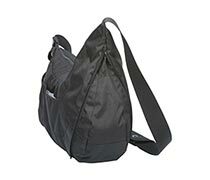 To carry the sling, there is an attached adjustable shoulder strap, with a detachable shoulder pad for comfort.